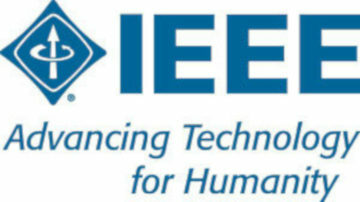 eLearning Initiatives Specialist, Piscataway, New Jersey - The successful applicant will support the IEEE Standards Association’s educational services initiatives by developing, implementing, and delivering educational material. • Determines needs of stakeholders and translates into operational plans. • Designs learning plans, eLearnings, documentation, etc. • Monitors work of vendors/contractors. • Creates narratives, storyboards, scripts, etc. 4+ years leading/developing educational and/or training/eLearning solutions. Exp in instructional design and adult learning theories, education and/or training. Organize/lead teams & drive multiple projects simultaneously. Proficient in Microsoft Office, Adobe Creative Suite, eLearning authoring tools, and pre/post video production. You are responsible for supporting eLearning projects aimed at engagement and professional learning. The incumbent in this position is a strategic part of the IEEE-SA education team and will contribute to the rapid determination of organizational needs and then design, develop, and deliver the most effective solutions. The role typically reports to a Manager. This position functions as an individual contributor but must be highly collaborative and able to engage with and obtain buy-in from stakeholders.